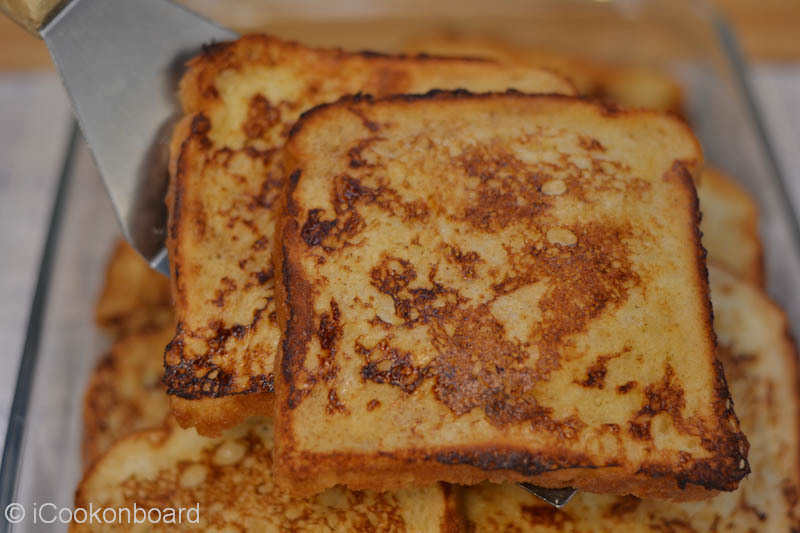 French toast is one of the quickest and easiest way to revive your old bread that has been sitting on your bread basket for quite some time. As a cook onboard, one of my challenges is how to out-smart my crew. Since I cannot force them to eat those old breads I need to find ways on how to recuperate it. And to make sure that they will find it hard to resist it. 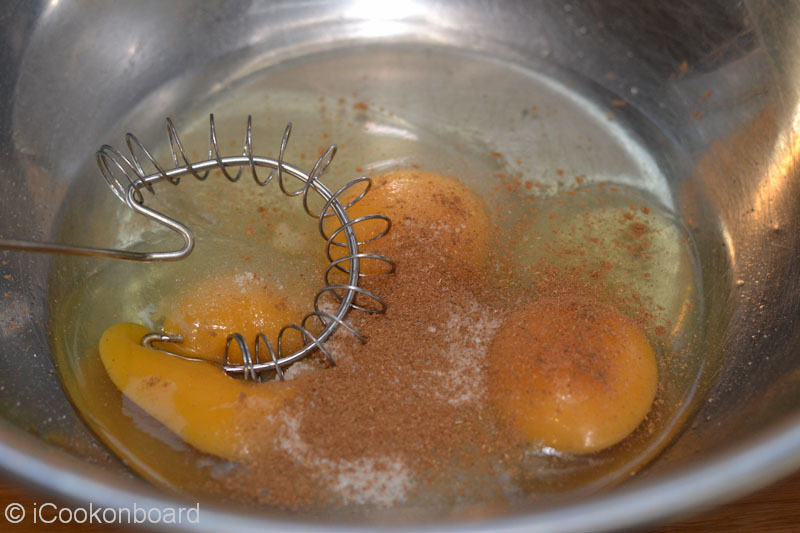 Put the eggs, sugar, ground cinnamon and vanilla on a mixing bowl. 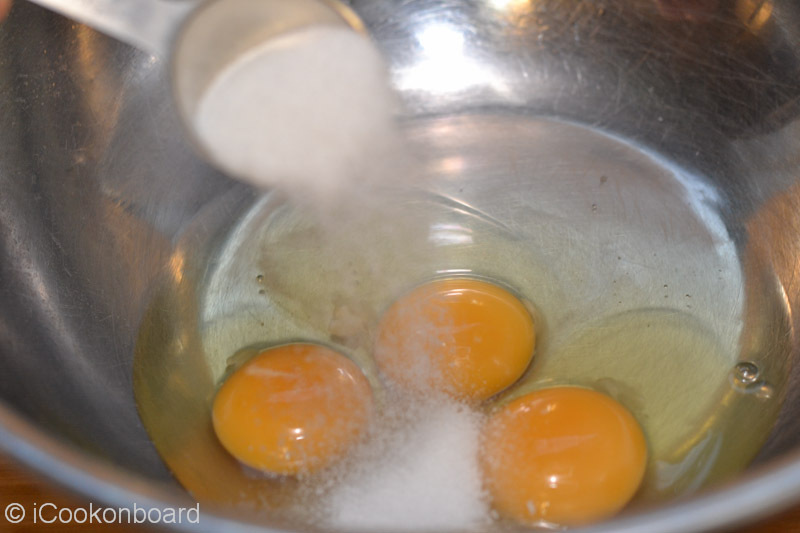 Lightly beat eggs until sugar is dissolved. Pour in the milk and mix to blend well. 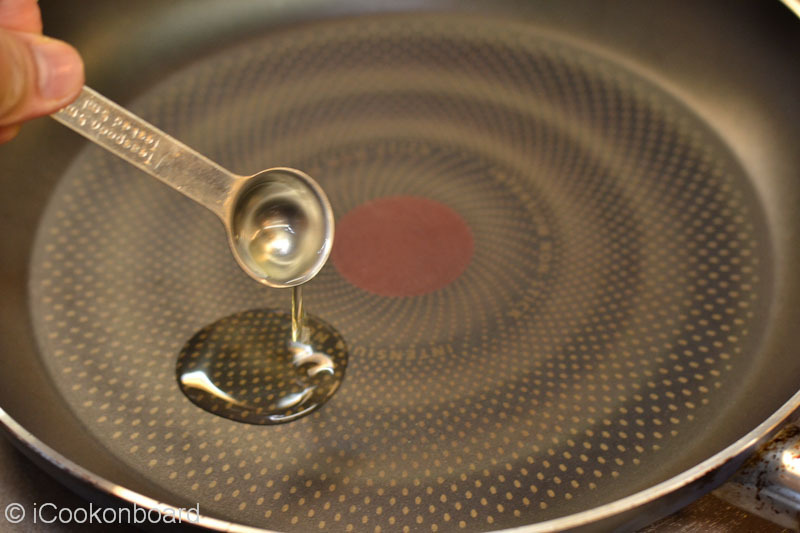 Place a 24cm non-stick frying pan on medium-high heat, add 1/2 tsp. of cooking oil and 1/2 tsp. unsalted butter. 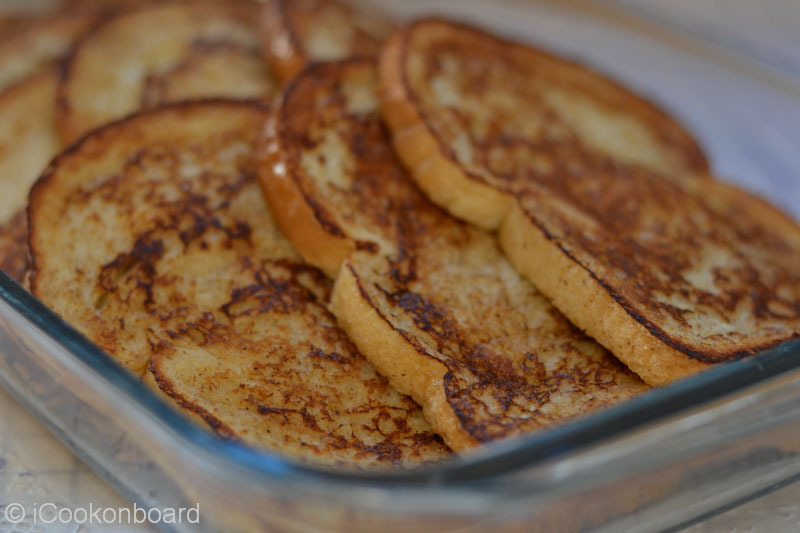 Dip each stale bread in the egg mixture. Avoid soaking the bread for too long. It will become very soggy and will break apart. 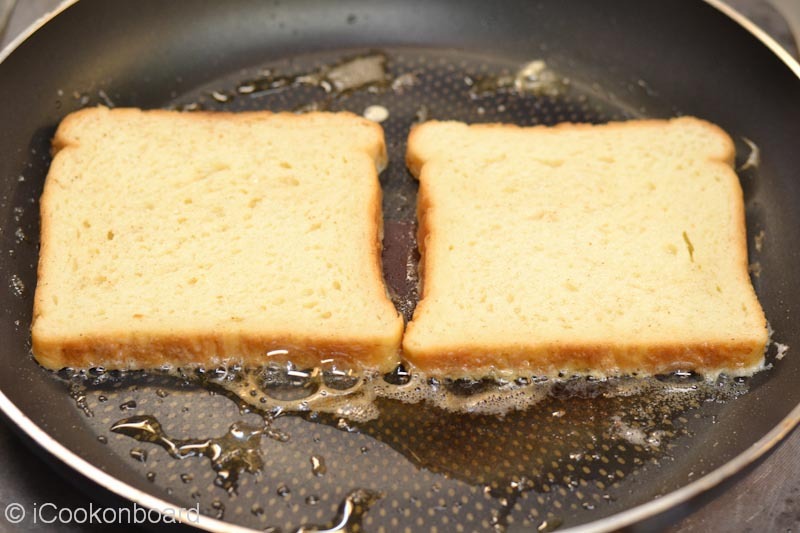 Fry on melted butter for 2-3 minutes on each side. 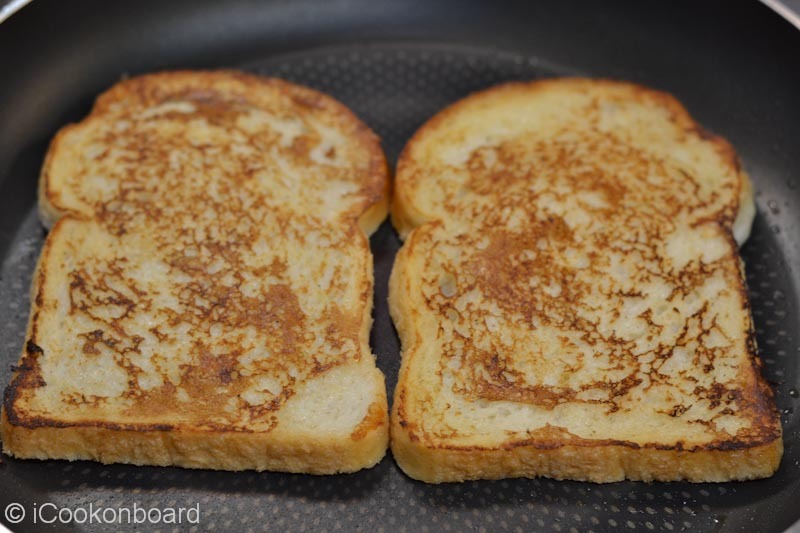 Turn once to toast the other side to a nice golden brown. 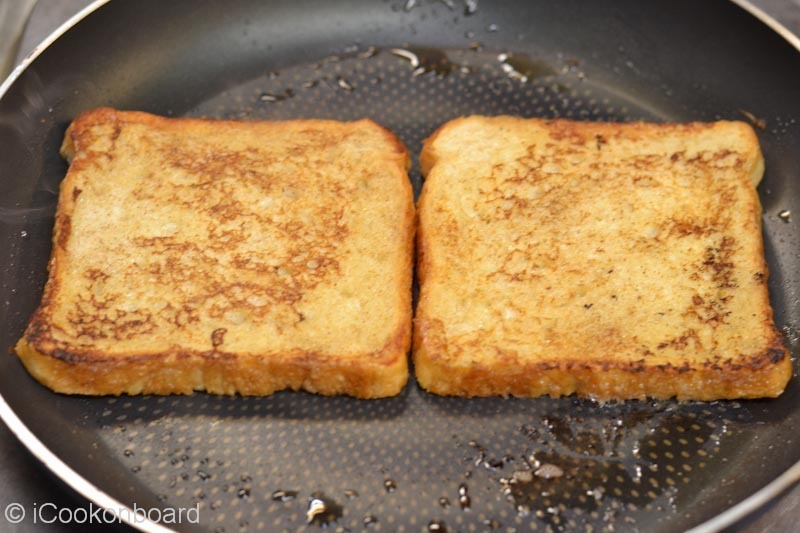 Serve with fried eggs and your favorite side dish for breakfast. 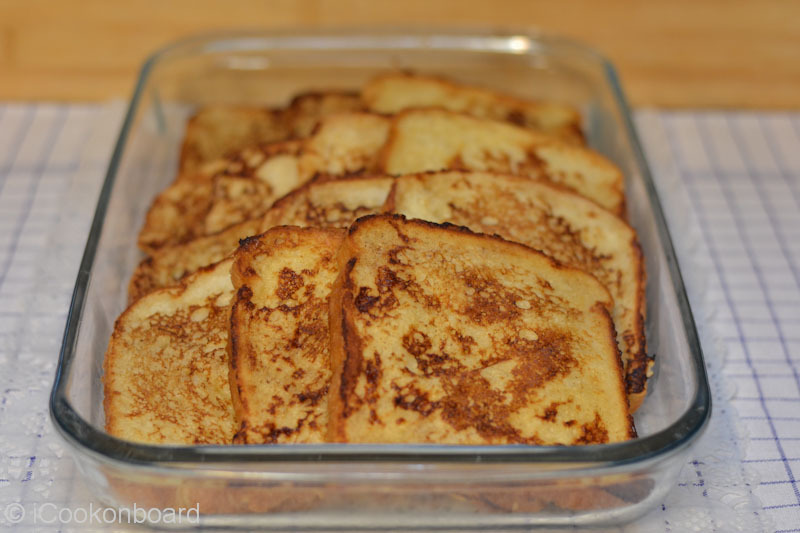 Check-out other recipe to revive your stale bread; Bread Butter Pudding, Pinoy Tasty Pizza, Cheese on Toast and Croutons. 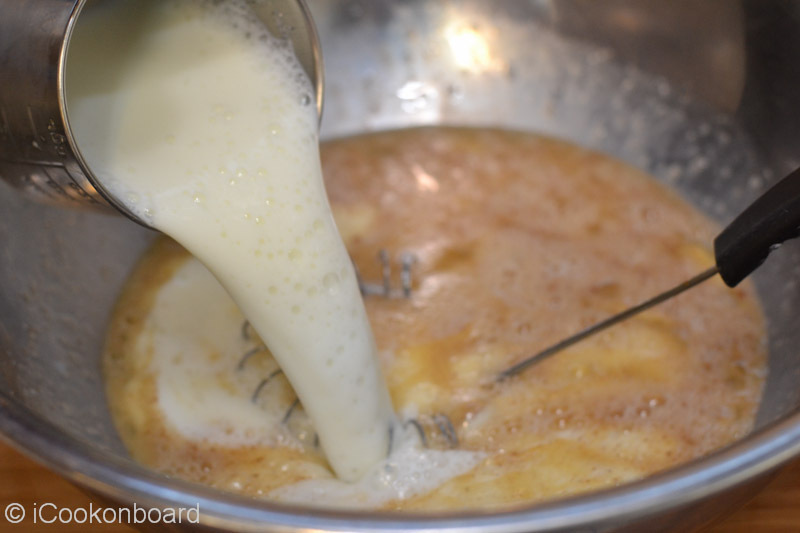 Put the eggs and sugar on a mixing bowl. 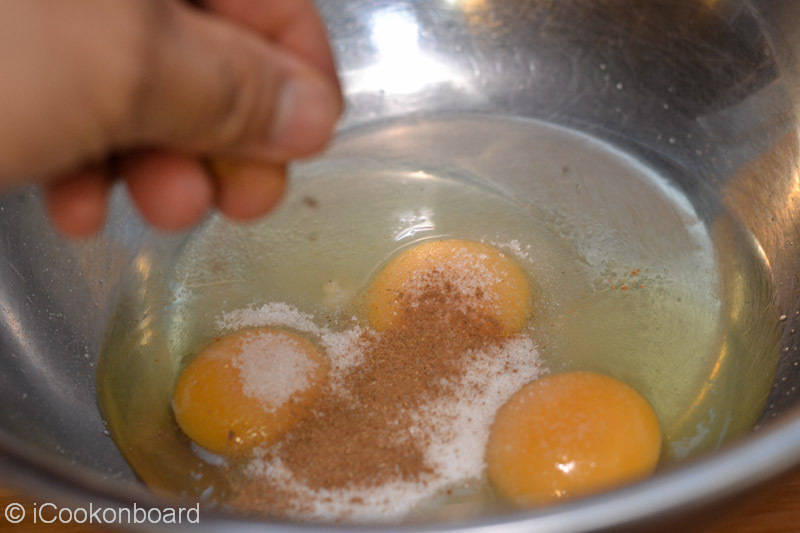 Add a dash of ground cinnamon. And few drops of vanilla essence. 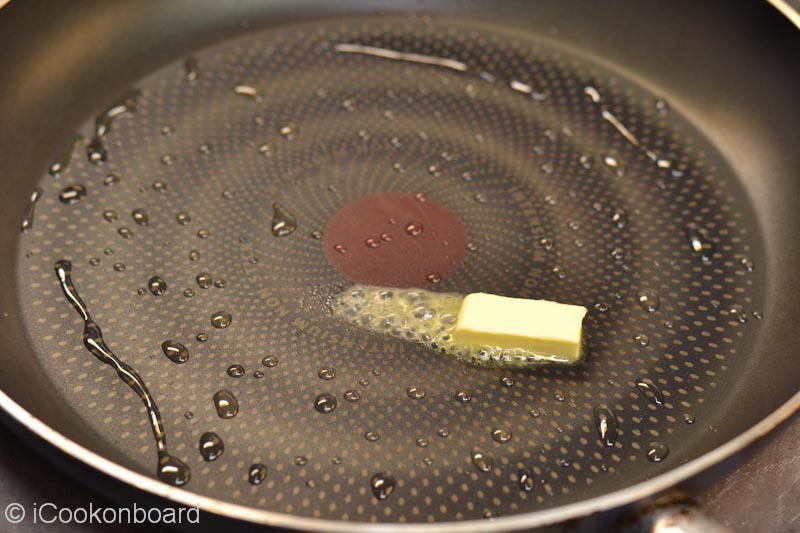 Place a 24cm non-stick frying pan on medium-high heat, add 1/2 tsp. of cooking oil. 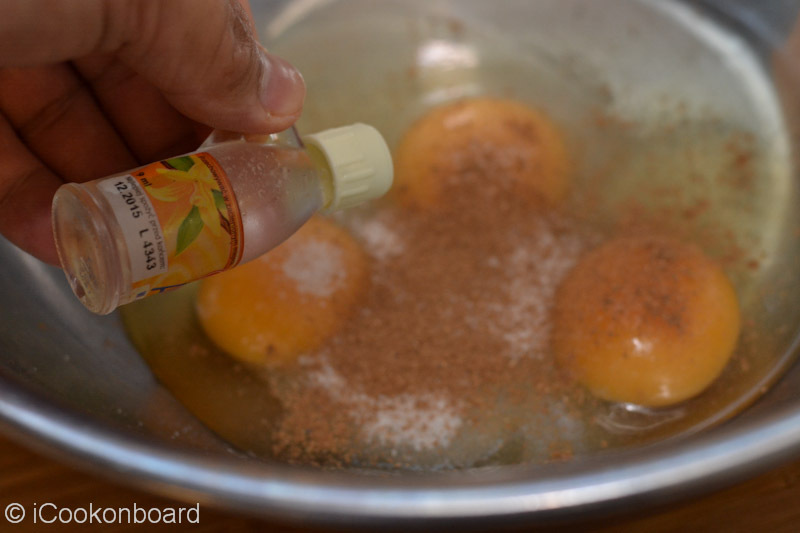 Add 1/2 tsp. unsalted butter. 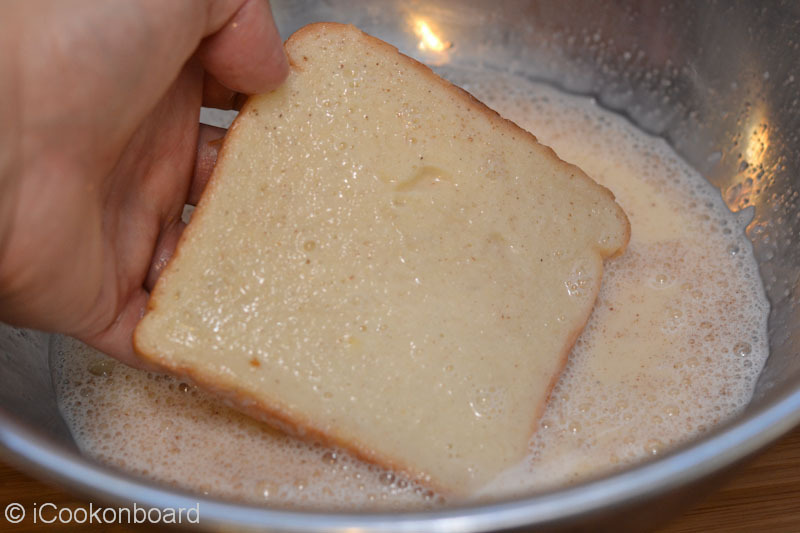 Dip each stale bread in the egg mixture. Avoid soaking the bread for too long. It will become very soggy and will break apart. Fry on melted butter for 2-3 minutes on each side. 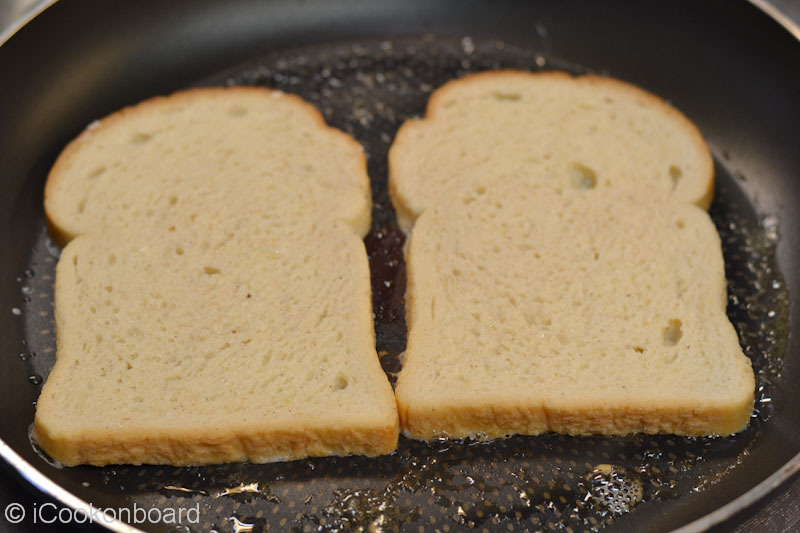 Turn once to toast the other side to a nice golden brown. Delicious firm favourite in our house. hi ! great classics. 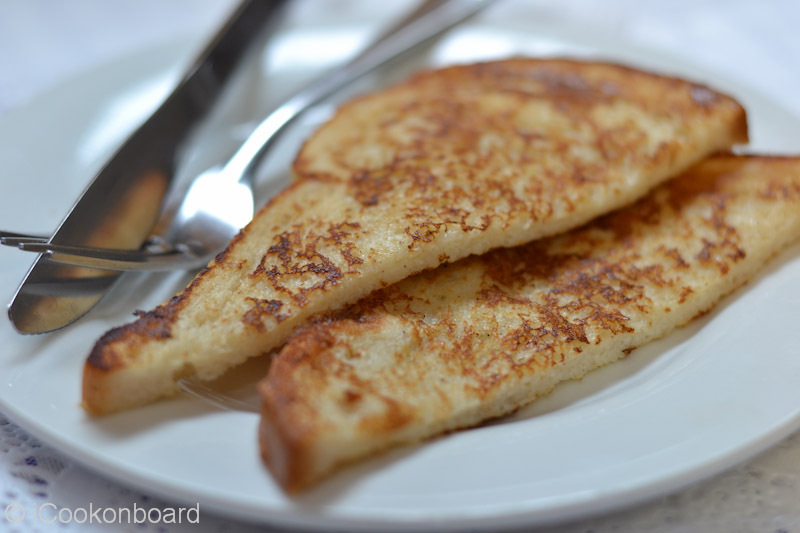 love this toast just as you mention, for breakfast.